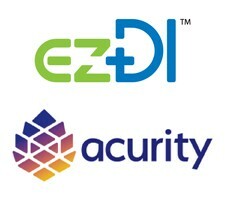 ezDI Signed an Agreement to Offer Clinical Document Improvement, Computer-Assisted Coding, and Code Audit Solutions to Acurity Members | ezDI, Inc. | The only fully integrated born-in-the-cloud Speech to Text, Clinical Document Improvement, Coding, Auditing and Analytics platform on the planet. ezDI, Inc. signed an agreement with Acurity to offer discounted/preferred pricing for licensing ezDI's CDI, CAC & Coding Audit application. LOUISVILLE, Ky., July 31, 2018	(Newswire.com) - ezDI, Inc. has signed an agreement with Acurity to offer deeply discounted/preferred pricing for licensing ezDI's Clinical Document Improvement (CDI), computer-assisted coding (CAC), and Coding Audit application to Acurity members through the organization’s group purchasing portfolio. ezDI provides best-in-class CDI, CAC and Coding Audit applications that leverage Artificial Intelligence (AI) technologies. These solutions offer Acurity members with a single, enterprise platform that helps hospitals bridge the gap between coding and CDI by providing tools to prioritize CDI work, audits, HACs, PSIs, LOS variance, mortality reviews, and readmissions. "We are thrilled with Acurity adding ezDI's AI-guided CDI and coding applications to their robust purchasing portfolio,” said Terry Ciesla, Executive Vice President for ezDI. ezDI’s solutions leverage technologies such as Natural Language Processing (NLP) analytics, semantic web, neural networks and deep machine learning to deliver workflow optimization that can identify patients at risk, patterns in diseases and treatment outcomes. ezDI combines these technologies to interpret clinical sentence structure in a very granular fashion. The software’s extensive medical ontology uses semantic web to identify and maintain the millions of clinical concepts, correlations, and relationships. Acurity is an organization of healthcare professionals committed to helping providers deliver better care and reduce operating expenses through enhanced supply chain performance. Acurity has combined a regional contracting program with the power of national aggregation to deliver a best-in-class purchasing portfolio. Acurity’s leading industry experts identify data-driven methods that optimize hospital and health-system resources to improve both quality and the bottom line. For more information visit www.acurity.com. ezDI provides Computer-Assisted Coding, Clinical Documentation Improvement, Encoder, Code Auditing and Analytic tools designed to simplify medical coding and clinical documentation workflow. CAC/CDI increases Coder/CDI productivity, fuels compliant coding/DRG assignment, shrinks and optimizes revenue cycle. ezDI hospital customers have seen CMI increases as high as 10.23%, enhanced coder productivity as high as 71.4%, reductions in DNFC >62% and verifiable ROI over 10x. For more information, please visit www.ezDI.com. ezDI Inc., is a healthcare informatics provider, offering intuitive solutions that are affordable and purposed to accurately automate coding (computer-assisted coding - ezCAC) and to truly automate clinical documentation improvement (ezCDI) workflow. Sign up for email updates from ezDI, Inc.